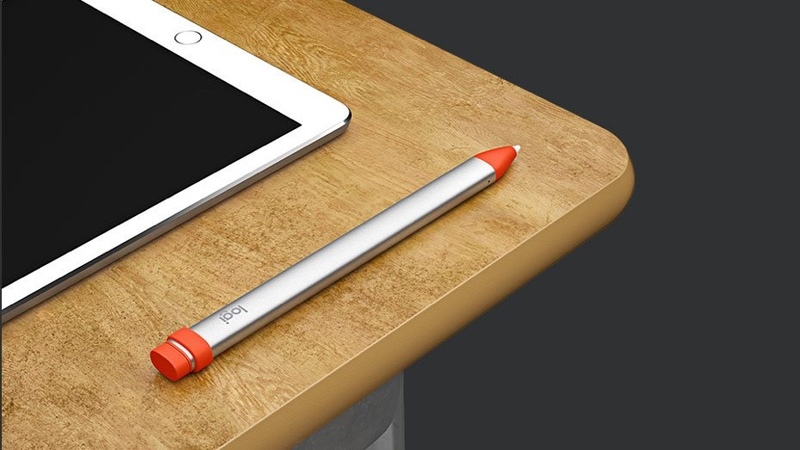 Apple announced a new stylus for the iPad on stage at its ‘Field Trip’ event called the Crayon. Made by Logitech, it’s an interesting alternative with a glaring shortcoming. While the new iPad looks similar to last year’s model, but the biggest addition to the tablet is no doubt Apple Pencil support. Sadly though, the Apple-branded stylus is going to set you back $99 if you are a regular customer or $89 if you are a student. Still, it’s an expensive purchase that costs quite a bit of money. Thankfully, Apple knows this and announced a new stylus for the iPad that features all the cool stuff that the Apple Pencil can do. Called the Logitech Crayon, it looks like, well, a crayon, and does everything at half the price. Heck, it’s designed in such a way it won’t even roll off the table. It even features tilt support, it’s pressure sensitive, offers palm rejection and whatnot. It’s not a regular stylus at all. It’s an Apple Pencil but repackaged in a cheaper form-factor. The Crayon features 8-hours of battery life on a single charge which is more than enough to get you through the day. But get this – it features a female Lightning port which means that you can charge it up using a Lightning cable instead of dangling it on your iPad’s charging port. Here’s where things get a little strange. The Crayon works only with the new iPad, nothing else. Why? Because unlike the Apple Pencil, this stylus does not utilize Bluetooth. It operates in a frequency that is exclusive only to the new iPad. It won’t work the new iPad Pro. The Logitech Crayon will be available to buy this Summer to schools and students. There’s no word on the stylus being available to normal people.